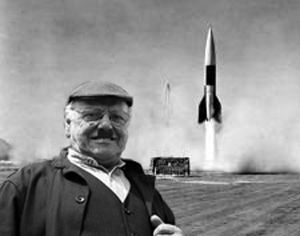 Two brothers from Harold’s German twin town of Koch have successfully restored a V2 rocket. Despite us all being friends now, the brothers share a love of WW2 technology and are keen to demonstrate their superior engineering. The projectile, which features an ethanol powerplant, a primitive guidance system and 200 kilos of high explosive, could be the first one of its type to fly for nearly 70 years.